Heading for Russia for the holidays? 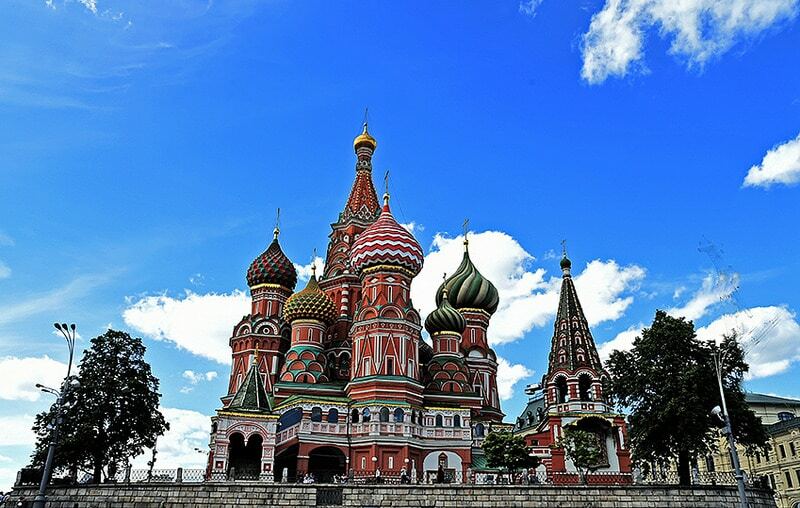 Here is a mini-guide to the best places to stay in Moscow, the largest city in Europe! With more than 12 million inhabitants within the city’s walls, 15 million inhabitants spread over the urban area, and an area of 2,511 km², Moscow is a sprawling city. Moscow is the economic, political and academic centre of the Russian Federation, and its budget speaks for itself: 52 billion dollars. As a stronghold of post-Soviet capitalism, Moscow has important social disparities resulting from the transition from the planned economy to the market economy: a fraction of the population has become very wealthy. As you might already be aware of, the cost of living in the Russian capital is very high and accommodation to stay in Moscow can be very expensive for visitors. In fact, Moscow is one of the world’s most expensive cities in terms of rental prices. But when you love something, money is not an issue. An emblem of a tremendously rich history, Moscow has much to offer, including an eyeful of architectural, cultural, and historical heritage. Here is a presentation of the best neighbourhoods to stay in Moscow. This area exudes the quintessential vintage atmosphere of the old town. The Arbat was once a road from the Kremlin to Smolensk, and its history goes as far back as 1493. With time, the area became the most prestigious district of Moscow and Arbat Street is nowadays known for its entertainment, especially its street performances enjoyed by passers-by. This part of Moscow is the equivalent of Montmartre in Paris. A little further south, the Kropotkinskaya district is home to many restaurants – avoided by locals who find them overpriced, they are intended for tourists – and is considered one of the most beautiful quarters of the city. The area houses numerous landmarks to visit, notably the Cathedral of Christ the Saviour, near the banks of the Moskova River. The district also houses many must-see museums and art galleries, including the Pushkin Fine Arts Museum, among others. This part of the city, where old edifices mingle with contemporary architecture, is a very expensive area to stay in Moscow, however, it is very central. 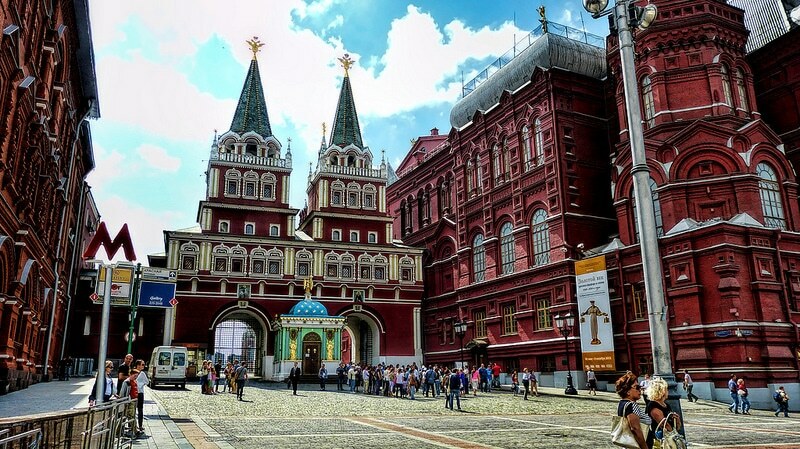 This is a very good place to stay in Moscow if you want to reside downtown and enjoy all that a central location has to offer: bars, concerts, restaurants, cafés, historic buildings and bustling shopping areas. There’s something for everyone here. The district alone is home to historical landmarks such as the Kremlin, the Red Square, the Bolshoi theatre or the Revolution Square and Lenin’s mausoleum. Tverskaya Street, Moscow’s main street extending from Red Square, is the neighbourhood’s emblematic street. Dubbed “the Champs-Elysées of Moscow” this very lively area is packed with large buildings, luxury boutiques, and chic clubs. It is the most expensive shopping street in Moscow and all of Russia. It is nevertheless a very good place to stay in Moscow if you enjoy partying. Pushkin Square is a popular haunt for young people who regularly attend the outdoor concerts taking place here. 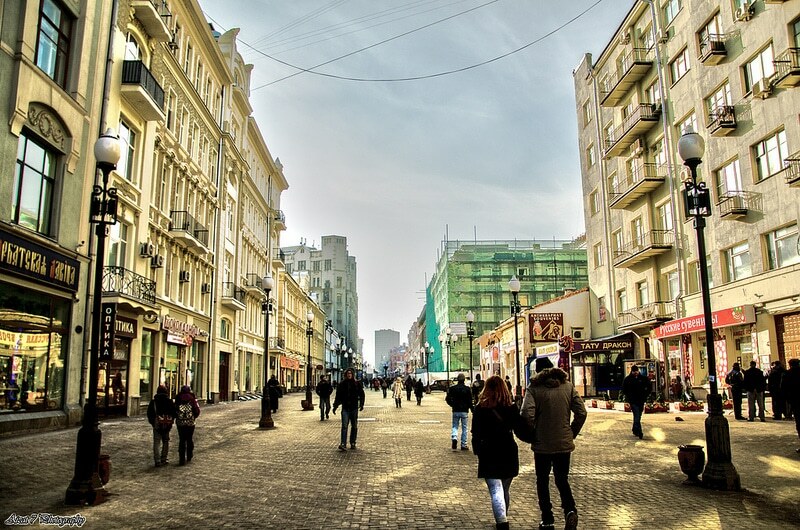 Kitay-gorod is not only Moscow’s cultural hub, it is also the city’s trendiest neighbourhood. Here, traditional architecture sits alongside modern art buildings and Soviet-era edifices. For example, the Church of the Holy Trinity, on Khokhlovsky Street, has its origins in the 17th century. Kitay-gorod is a business district developed in an ancient medieval fortification. Varvaka Street, near Zaryade Park, is the oldest shopping street in the city. Kitay-gorod is a convenient area to stay in Moscow and visit the city without spending too much time on public transport.